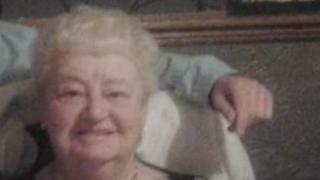 A grandmother died after a "catalogue of errors" following a routine hip operation, an investigation has found. Renie Craig, 77, from Blackburn, died after a "low-risk" hip replacement operation in 2015 went wrong. The Parliamentary and Health Service Ombudsman found that her death was "avoidable". East Lancashire Hospitals NHS Trust apologised and said it had made "significant improvements" to ensure "similar errors do not happen again". Mrs Craig's family said they were "devastated" by her death after what should have been a routine operation. A spokesman for the Ombudsman said: "A catalogue of errors at East Lancashire Hospitals NHS Trust, including failing to properly monitor and treat Renie Craig after the operation, meant she died as a result." Mrs Craig had the operation in February 2015, despite tests showing she had high blood pressure and impaired kidney function. The ombudsman said that this - along with her age and the fact that she had diabetes - meant she was at an increased risk of developing a serious kidney injury. After the operation, she was not given enough fluids and nurses failed to inform a senior doctor when her blood pressure "dropped significantly". Mrs Craig was given a blood transfusion but later became unresponsive and was moved to intensive care. In March 2015, she had two further operations to treat a wound that had developed and died few days later. Mrs Craig's son, Ian, said: "We lost my father only a few months before so we were already grieving and my mother's death came as such a shock to me and to my wife and son." Medical Director, Professor Damian Riley, said: "The trust extends its sincerest apologies and we acknowledge that there were opportunities to do things differently while we were responsible for Mrs Craig's care."